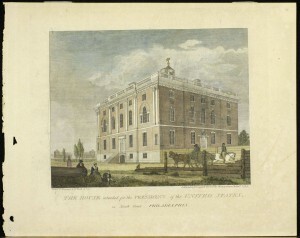 The Executive Mansion, as it was called, or the home intended for the president, is shown here in a colored print, a collaborative representation made by William Russell Birch and his son, Thomas. Thomas would paint in watercolor for Birch or his engraver, Samuel Seymour, to transfer. 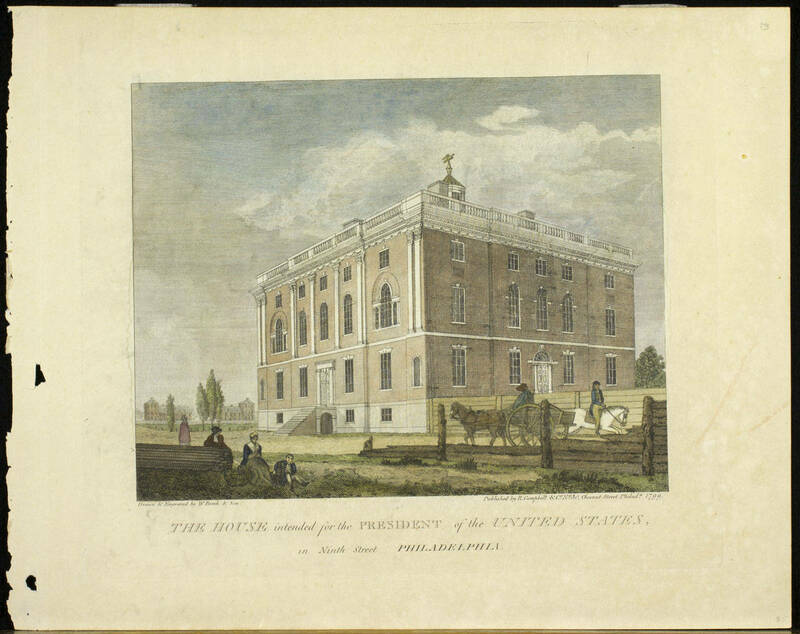 The building was constructed between 1792 and 1797, but never housed a president. 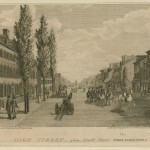 The University of Pennsylvania later purchased the building. 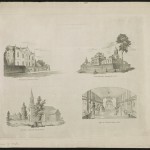 Birch included views of the Alms House and House of Employment in the distance behind the Executive Mansion. Posted by Darragh Nolan on June 18, 2015 at 10:56 pm. Bookmark the permalink. Follow any comments here with the RSS feed for this post. Post a comment or leave a trackback: Trackback URL.